The year 2015 is a special and significant year for Singapore, celebrating her 50th birthday (SG50) milestone since her independence in 1965. 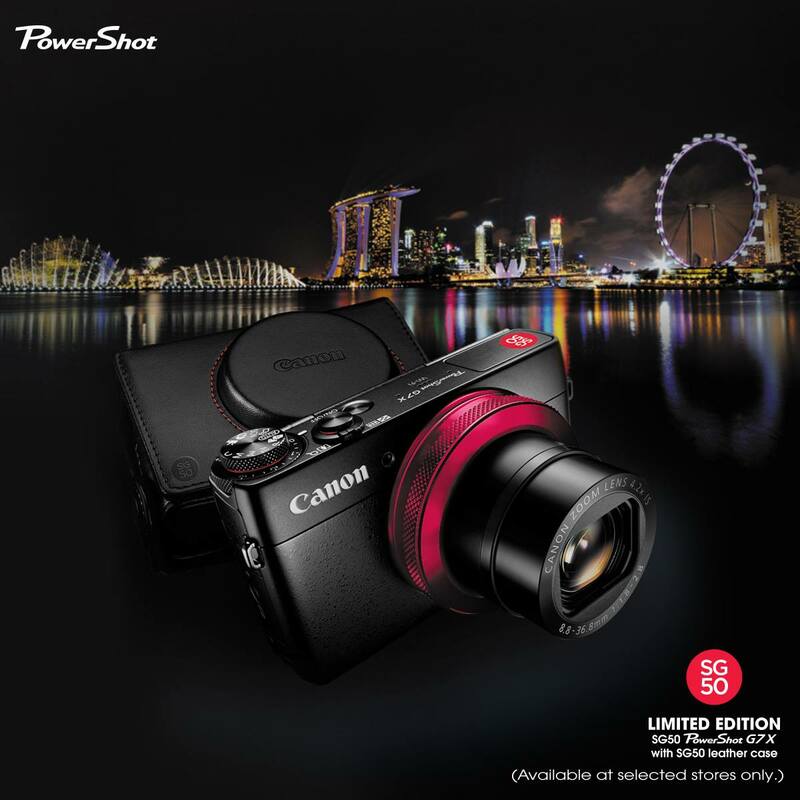 In conjunction with the festivities and celebrations to mark Singapore’s Golden Jubilee, Canon introduces a special SG50 Limited Edition PowerShot G7 X exclusively for the Singapore market. The Canon PowerShot G7 X is a top selling model in PowerShot family, the premium G series range. The sophisticated design of the SG50 limited edition PowerShot G7 X is accentuated by a classy yet striking hue of red on the ring control. The ring control, built into the lens barrel, enables easy adjustments to basic functions like shutter speed and aperture whilst the stacked mode dial tweaks exposure compensation. The dynamic hue of red is symbolic of passion and also the signature of both Singapore and Canon. The SG50 emblem, now synonymous among Singaporeans as a celebratory mark for 50 years of nation building, adorns the camera body and is embossed on the camera pouch, making it a timeless edition for keepsake. The limited edition run of these 500 units is designed and manufactured in Japan. It comes with the special 15th anniversary edition Canon G Series packaging and also includes a certificate of authenticity. The PowerShot G7 X (SG50 limited edition), which comes with a camera case, is now available at the following Canon authorised distributors and dealers at a recommended retail price of $829. If you are keen to own a Canon PowerShot G7 X, the SG50 Limited Edition PowerShot G7 X is a good choice! Beautiful colours and only limited to 500 units!